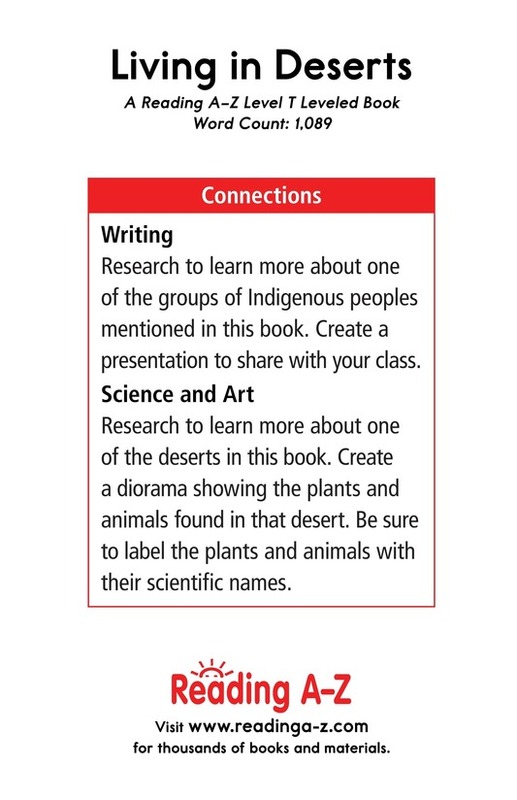 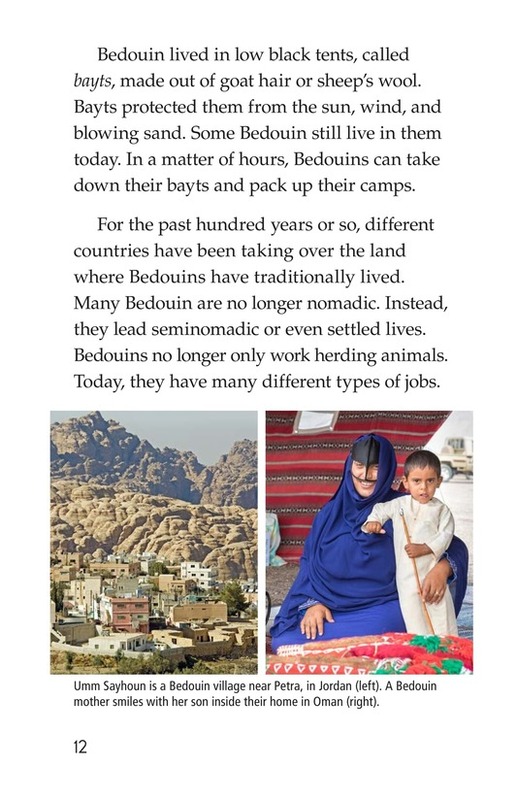 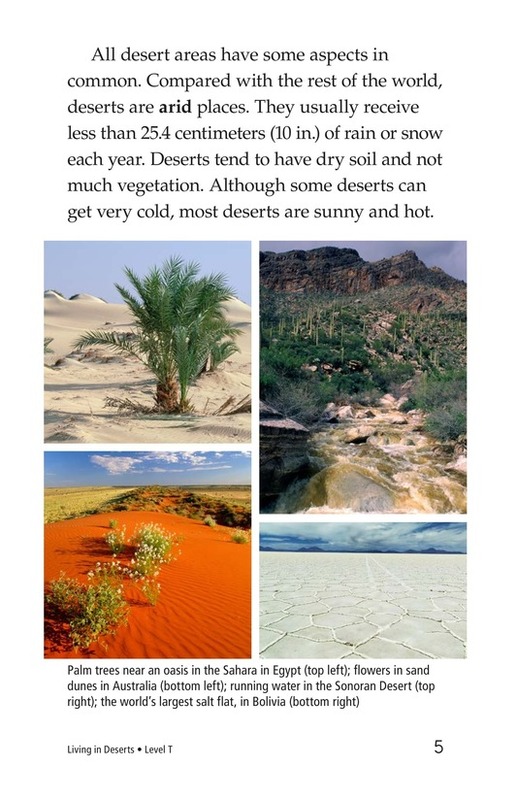 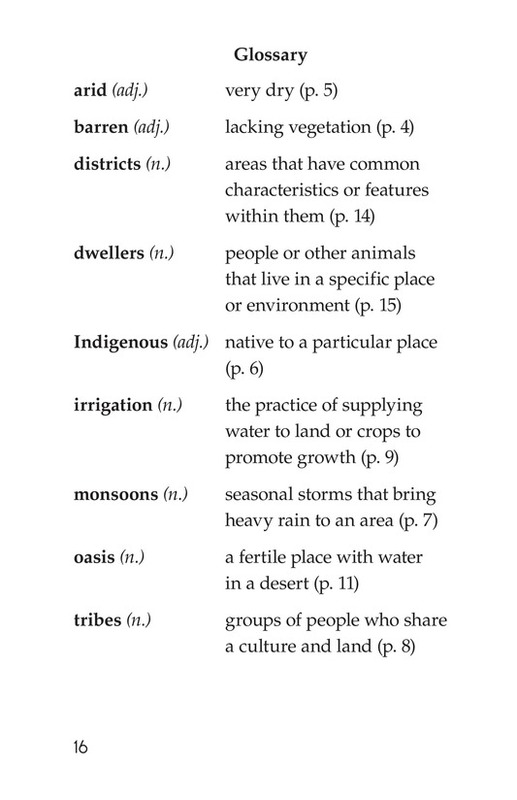 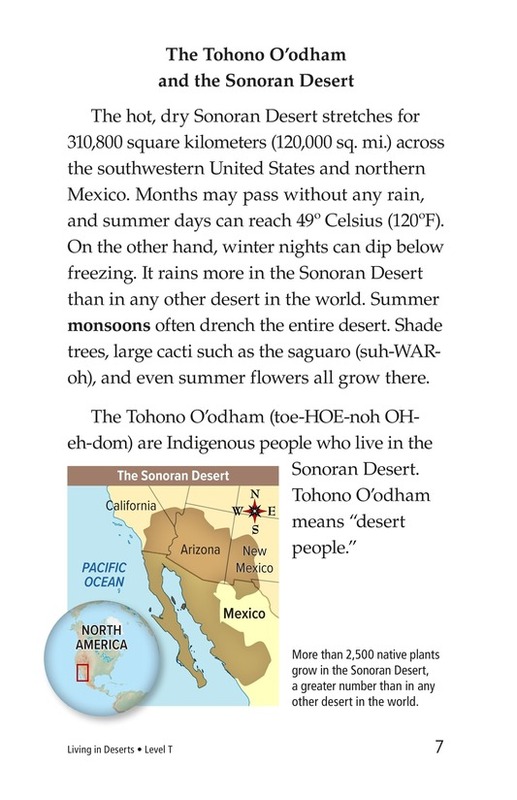 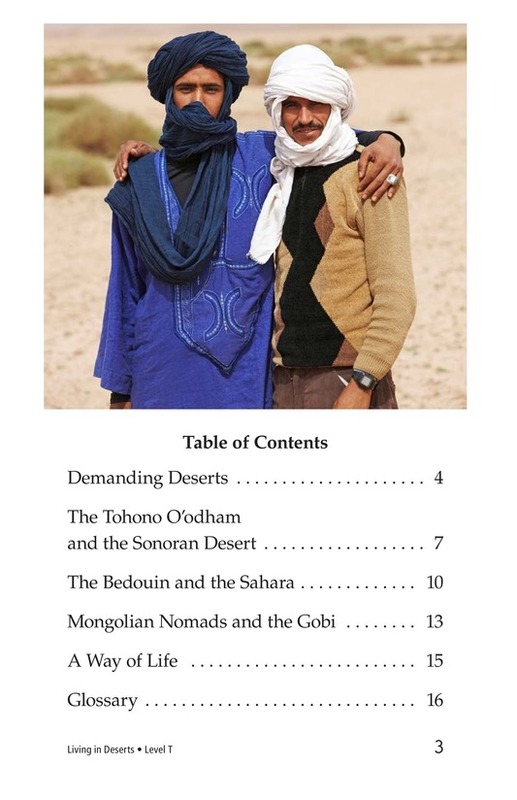 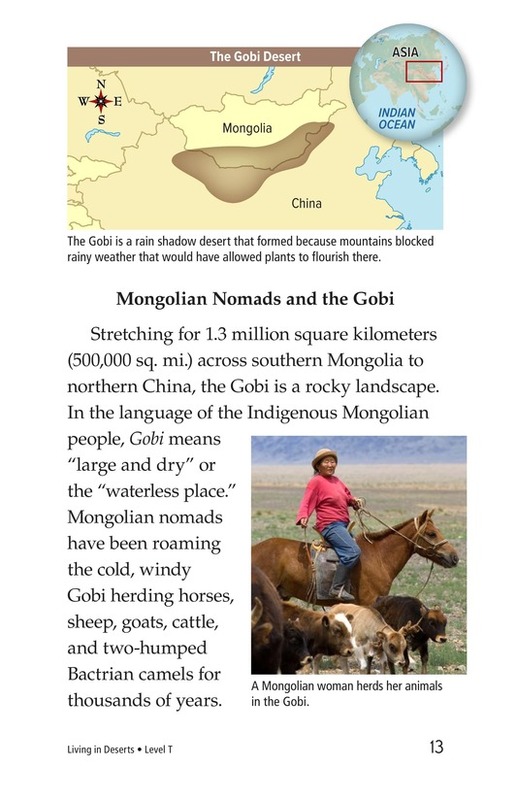 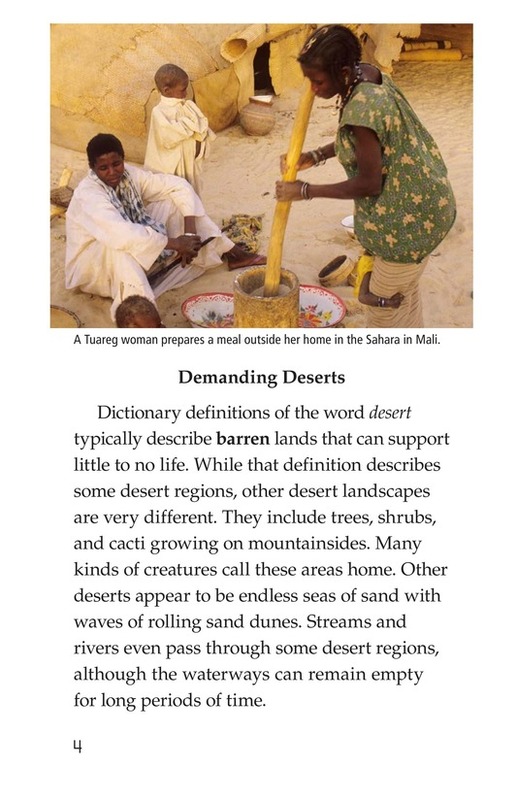 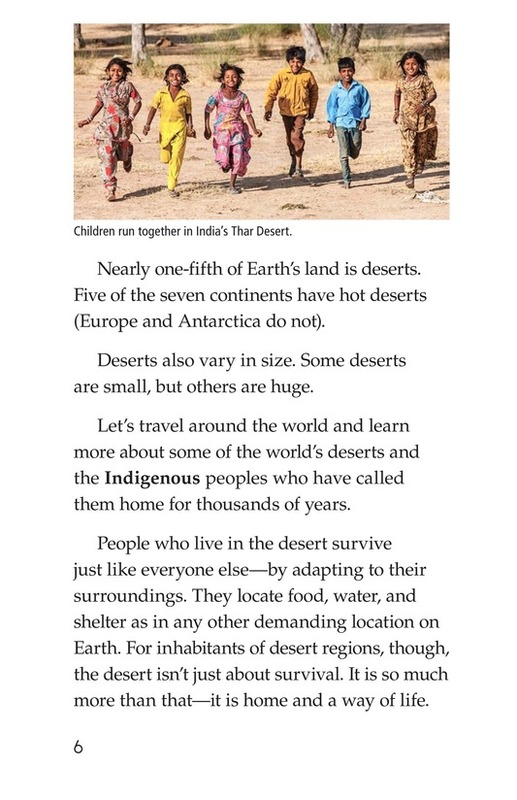 Desert People is an informational text about various peoples who live in deserts. 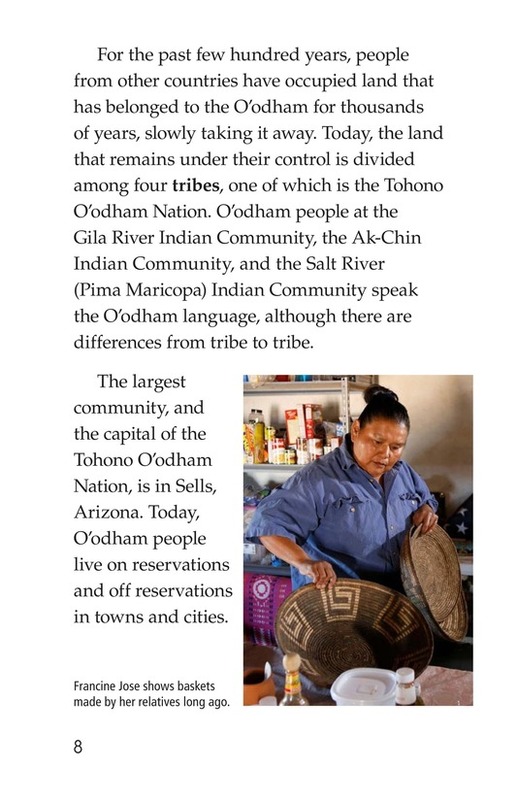 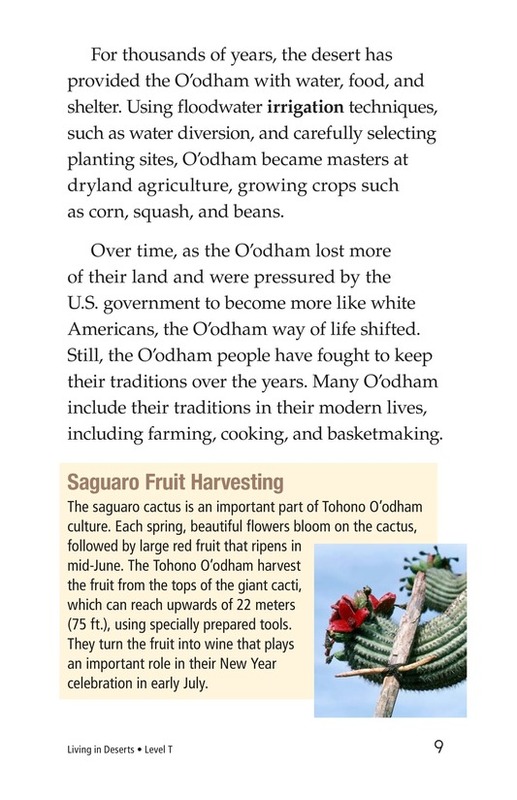 It focuses mostly on the Tohono O'odham (a Native American tribe) and the Bedouins but also briefly mentions other cultures. 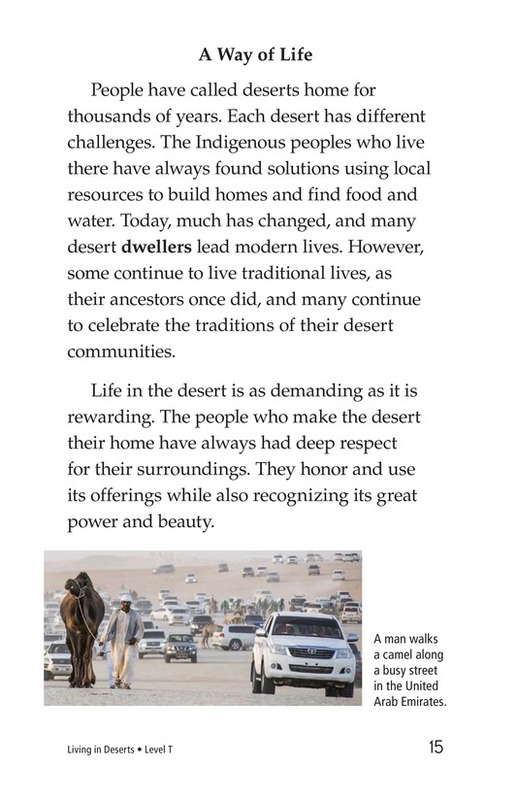 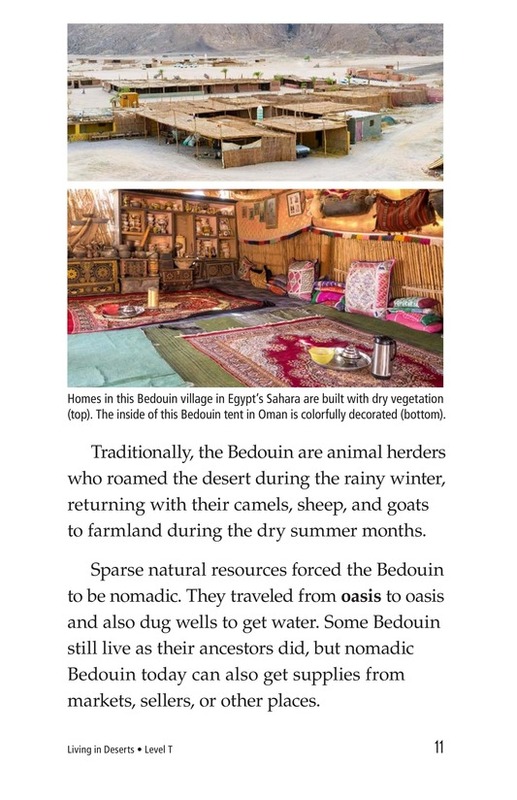 Desert People tells about many aspects of desert life, from diet and shelter to daily routines, traditions, and customs. 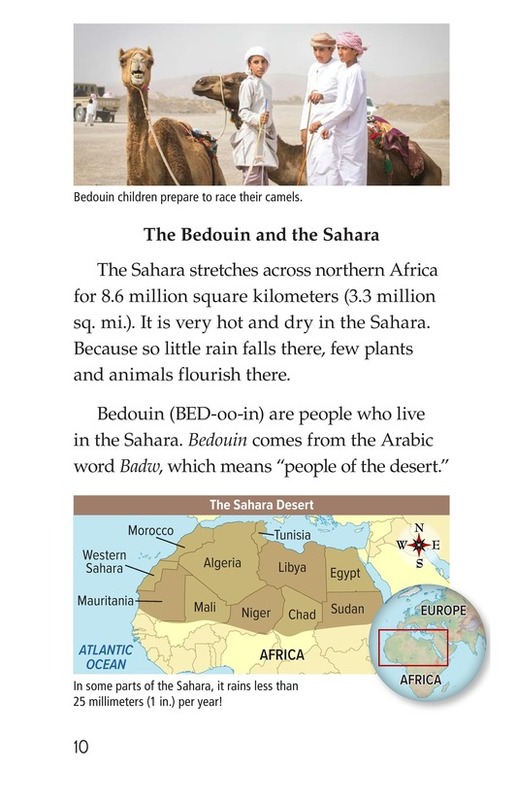 Photographs, tables, and a map support the text. 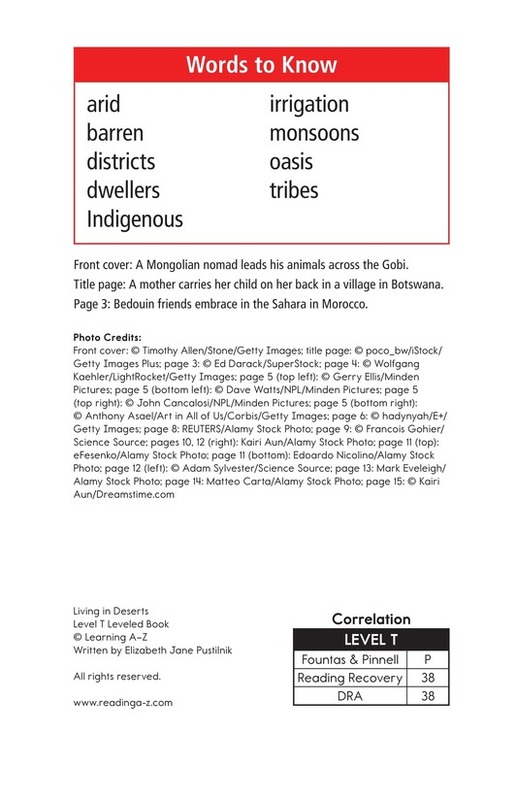 Book and lesson also available at Levels P and W.